As a No. 1 global brand, LG Solar, perhaps better known for manufacturing household appliances and home entertainment, have branched out into vehicle components and energy generation. This seems to have been a great move, as LG won the internationally recognised "Intersolar Award" in 2013, 2015 and 2016 for groundbreaking technological innovations and increased output power of their products each year. Beginning with the N-type cell back in 2013, LG have continued to innovate and produce high quality cells and environments within the solar panel. The Cello technology reduces electrical loss in the cell and improves absorption of light through using 12 wires instead of 4 ribbons. The BiFacial products that they produce open up both the front side and the rear side to generate power - producing 30% more energy generation than a standard PV module! 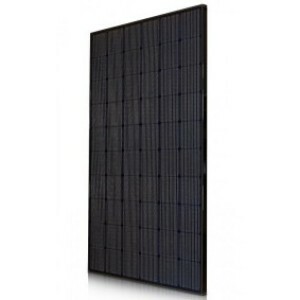 Their module efficiencies are therefore some of the best in the business, ranging from 17.5-21.4% All of their automated manufactured panels are certified by four major inspection authorities, such as UL, TUV Rheinland, DVE, and Intertek to create a fully reliable, robust and efficient product. For more information on LG panels, look on the individual product pages.